Our classic pork pie with cheddar cheese and Branston pickle. 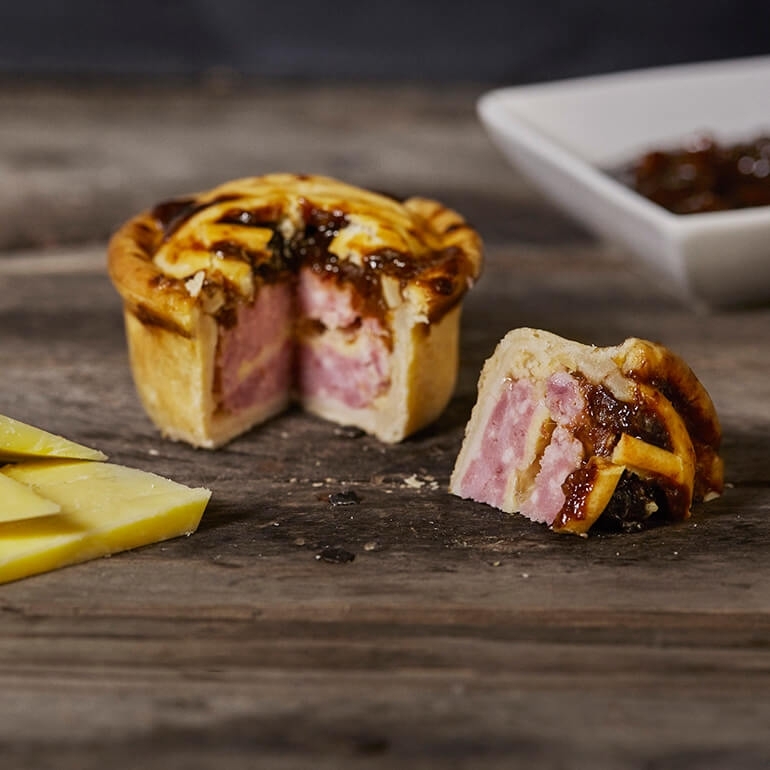 Our lovely, famous classic pork pie with cheddar cheese and proper Branston pickle on top - it's basically a Ploughman's lunch in your hand! Try it with a nice bit of fruity cider.